Uppersia Iran Travel blog: 4 uncovered spots to visit in Iran. 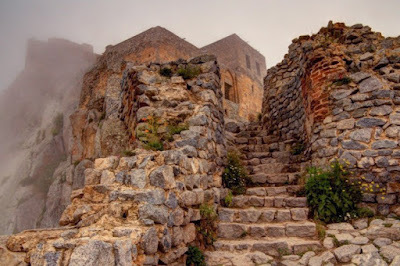 The epic Castle of Babak, strongly standing on a mountain 2300 meters high above Kaleibar town in Azerbaijan province, is the memorial of Babak Khoramdin a legendary Iranian warrior and his allies who stood against Arab invaders during Sassanid Era. The 3-hour trekking route leading you to this glorious stone-made monument with its great halls and arches would make a fabulous combination of an adventurous and historical visit in the lush and fresh weather of Northwestern Iran. Qeshm Island (also spelled Gheshm) is known as the biggest Island in Persian Gulf in Southern Iran and is one of the most fabulous places a nature lover can explore in Iran. With exclusive geological properties and a very rich flora and fauna, Qeshm Island Geopark is one of the global geoparks supported by the UNESCO. 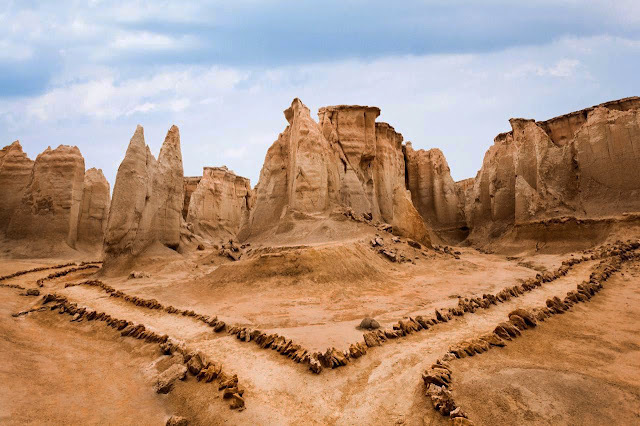 Magically beautiful rock formations leaving every visitor in wonder, untouched calm beaches and let's be honest the weird and surreal atmosphere of Qeshm would cause the mythical stories told by the locals sound true! 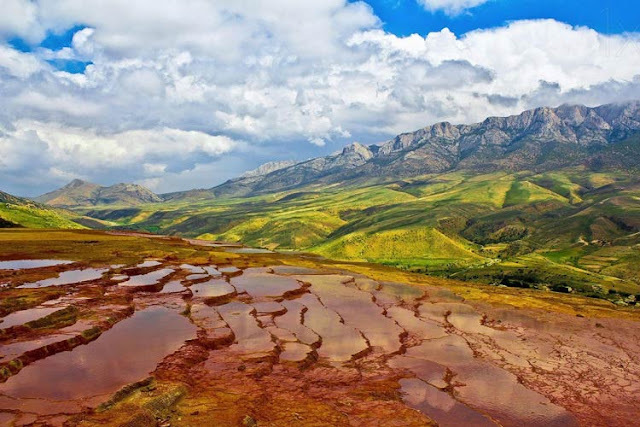 Located in Mazandaran Province in Northern Iran, Badab Surt is a unique natural wonder. Badab Surt is a set of stepped terraces formed by minerals carried from heights around. These terraces are originally hot waters springs with great medical properties. The madly beautiful landscape of red, orange and golden terraces with the foggy background of northern forests will be saved as an unforgettable picture on every visitor's mind seeking for natural beauties. Located in the north of Kashan, the underground city of Nushabad is one of the weirdest places you can visit while traveling in Iran. 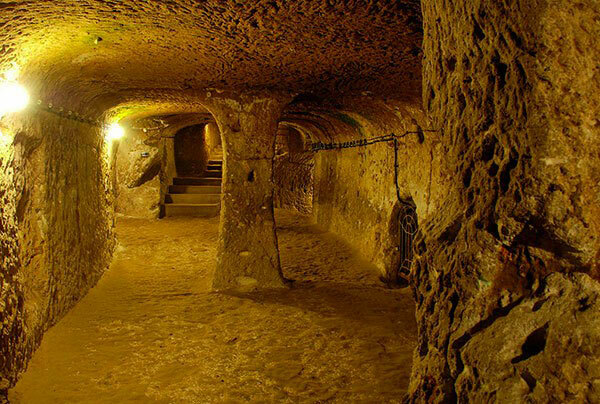 1500 year ago, the locals skillfully dug a 3 story labyrinth of rooms and corridors under the ground. Each room which was connected to other rooms with corridors used to belong to a family for sheltering in during wars.